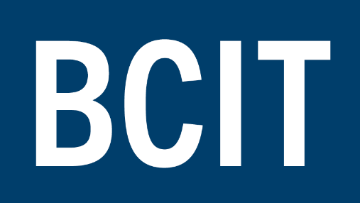 BCIT’s Marketing and Communications department is seeking a regular, full-time Manager, Events and Experiential. Reporting to the Director, Marketing & Communications, this position is responsible for managing the BCIT Events & Experiential Office. In this role, the Manager will oversee a team of employees and volunteers, as well as a comprehensive portfolio comprising of the development and execution of internal, external, recruitment, government and corporate events involving a multitude of stakeholders. The Manager is responsible for leading a diverse team of stakeholders, both internally and externally, in developing a vision for the Events & Experiential Office while profiling BCIT as one of BC’s leaders in post-secondary education. As a key member of the management team, participates in and supports the development of the Events & Experiential Office that is consistent with the Institute’s mandate, mission, and objectives. Maintains a cohesive, comprehensive vision and optimization plan for existing Institute events that will elevate the BCIT brand with a focus on continuous improvement and return on investment (ROI) measurement. Supports the performance and development of a team of Event Specialists while providing operational support as needed. Enhances the Institute’s profile by developing and maintaining effective relationships with key individuals internally and externally. Is accountable for the current holistic and strategic events calendar for the team, and overseeing the implementation and governance of a new system at an Institute level. Ability to manage an ample budget. Collaborates with other areas of Marketing & Communications and the Institute to ensure executional excellence in marketing and communications support. Liaises with Institute senior leadership as well as internal and external stakeholders in preparation for executive briefs including planning and execution. Stays abreast of best-in-class experiential practices and implements as appropriate, creating innovative solutions to optimize and elevate Institute events. Works strategically to grow the portfolio over the next several years, including the implementation of innovative means of engaging the community through being an ambassador of the Institute. Leverages emerging technologies to drive efficacy and efficiency. A generous Total Compensation package which includes extended health and dental benefits and a pension plan. Completion of an undergraduate degree. Five to seven years of experience in event management or relevant discipline. An equivalent combination of education, training and experience may be considered. Strategic and tactical planning and excellent organization skills demonstrated through ability to prioritize multiple and changing demands. A team player promoting a positive and professional work environment with a significant record of accomplishment in leading large and small-scale events with a multitude of stakeholders; willingness to be collaborative and ‘roll up your sleeves’. Exceptional people leadership and communication skills, resourcefulness and interpersonal skills. Ability to work flexible hours, evenings and weekends when required. A valid driver’s licence, access to a reliable vehicle and ability to travel locally where required. Experience working in a multi-union environment or post-secondary an asset. BCIT offers a competitive salary, generous benefits package and promotes an inclusive workplace. BCIT is an equal opportunity employer. All qualified candidates are encouraged to apply; however, Canadians and permanent residents will be given priority. Only successful candidates will be required to have transcripts submitted directly to BCIT’s Human Resources Department directly from granting institution at the time of reference checks. If applicable, successful candidates will be responsible for the completion of international credential evaluations. All appointments will be conditional until receipt of verified credentials. We are only able to accept applications that are submitted on the BCIT Careers website.